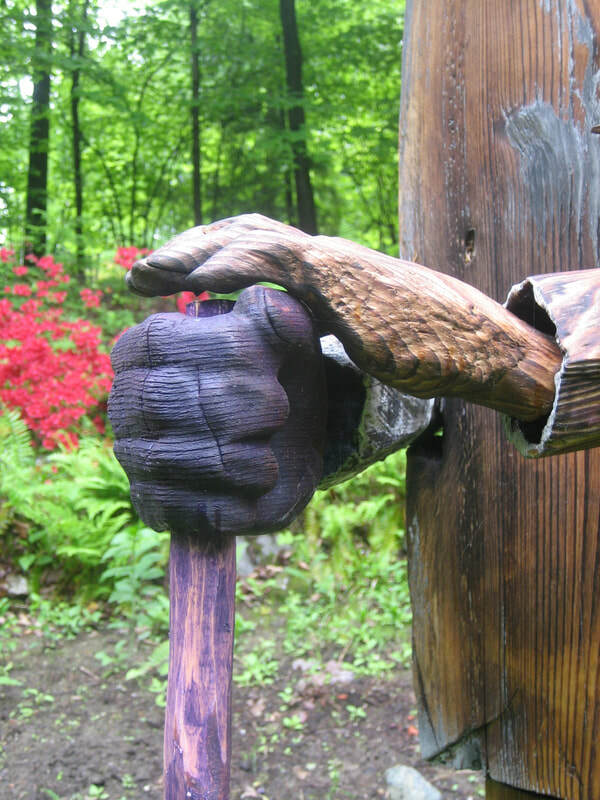 FRANK, 2010, wood and paint with metal, six-foot high. My dilemma as a creative worker is the sense that I junk up the world with more stuff. My wood figurines are from recycled wood however. Frank was a downed tree taken just down the road. It helps some.